plank in my religious upbringing. While growing up in the 1970's and 1980's, I attended Mass every Sunday and frequently served daily Mass as an altar boy. The Sacrament of Confession happened a few times a year, probably. It mostly happened when, before Christmas and Easter, the nuns lined us up and the whole class would go to confession. The other time when confession occurred is when some sin was particularly weighing on the conscience of this 10 year old. Sin was bad. I understood that. But, what I had no grasp of was that there was some connection between sin and the reception of Holy Communion. This was reinforced by the fact that I lived during the experimentation period when we received our First Holy Communion in Second Grade and didn't make our First Confession until Fourth Grade. This reinforced a notion that the two sacraments had little to do with one another. For a good part of my youth, the thought of attending Mass and not receiving Holy Communion never would have occurred to me. If you went to Mass, you received Communion. Going to Mass was ultimately about getting Communion. If the obligation was to go to Mass on Sunday, an essential component of that would be to receive the Eucharist. If someone had ever suggested that there may be times when one would attend Mass but not receive the Eucharist, I would have been genuinely perplexed. Attending Mass without receiving the Eucharist would have been like attending Mass and omitting the Gospel or the Consecration. I have often heard it said that a person who goes to Mass and doesn't receive Holy Communion would be made to feel self-conscious. He'd feel as though everyone were staring at him and judging him. (I think this in part could be solved practically by not making communion time a "row by row" event whereby the entire church is dependent upon you getting up from your pew and filing towards the Eucharist in an orderly fashion.) But, I would like to propose a different perspective on what someone might think when seeing a person not approach for Holy Communion. Fairly often when I offer Mass at Boston University, I notice students who either do not approach for Holy Communion or who approach with arms crossed and request a blessing. (I know there are those who question whether people should approach for a blessing at this moment in the Mass, but I think this is a minor issue). When I see these young people attend Mass but--for whatever reason--opt not to receive the Eucharist on a particular day, I am moved by their Faith. I suppose I am judging them. But it is a positive judgment. What I see is a beautiful act of Faith in the Eucharist. It says to me that this person loves the Eucharist so much that they only want to receive it after serious discernment. I have no idea what is at the basis of their discernment. Perhaps it is a sin or perhaps they have not observed the Eucharistic Fast. I don't spend anytime thinking about what the reason is. All I think about is how beautiful it is that this person believes in and loves the Eucharist. When I see brothers and sisters in the Faith who sometimes abstain from the Eucharist, it only serves to remind me again of the awesomeness of the Mysteries which I handle. It provokes in me a reminder that I too must always deepen my own discernment in approaching the Sacred Mysteries. The young person who on their way into Mass asks, "Father, do you have time for a quick confession?" is a witness to the Eucharist. I am impressed that so many of the students who attend Mass at Boston University received such solid Eucharistic formation in their youth. Their witness is inspiring. The presumption is often made that when others see a person not approach for Holy Communion, they are judging that person. I think it is just the opposite. When I see a person refrain from the Eucharist, it awakens in me a more serious examination of my own soul. It is not them that I am judging, but myself. It is a reminder to me to take my own approach to the Eucharist more seriously and to remember more clearly who it is that I am receiving in Holy Communion. Years ago a friend of mine who grew up with me came for Sunday Mass at the seminary. During the Lamb of God, he turned to me and whispered, "Dave, is it okay if I don't go to Communion?" (I think he was nervous that my friend not going to Communion was somehow going to embarrass me). I was profoundly moved by his Eucharistic Faith. At the time, he probably was embarrassed about asking me that question, but for me it was a beautiful witness to the truth of the Eucharist. Sometimes people feel pressured into receiving the Eucharist because they don't want to be the only person in the church who doesn't receive. I just want to encourage people in that position by telling them that sometimes your witness of not receiving is a powerful reminder to others not to feel entitled to the Eucharist and not to approach the Eucharist without making a serious discernment. While frequent--even daily communion--is an awesome gift, we all could use a reminder now and again that it is a gift that must be approached with reverence and awe. One of the beautiful things about Catholic life is that there is a calm and realistic approach to life. It does not shock us that we are a bunch of sinners in need of mercy. The other day one of the students at Boston University and I had lunch together and afterwards I popped into a local chapel and went to confession while he prayed in the church. Sometimes while going to confession at a local shrine, I bump into lay men and women whom I know. There we are--all sinners in need of God's mercy. No shock there. It is beautiful to see parents who come to confession along with their children. This teaches their children that their parent's too are sinners in need of mercy and that mercy is found in the confessional. This acknowledgment of our own need for mercy and our confidence in God's grace is of mutual encouragement. When I see someone go to confession or opt to refrain from the Eucharist, I see them humbly acknowledging before God that they are a sinner in need of God's mercy. They are like the publican who bows his head and says, "Have mercy on me, O God, a sinner." Their witness reminds me of my own need for God's mercy and encourages me to imitate them rather than to be like the Pharisee who stood before God and praised himself and who either pretended or really thought that he had no need of God's mercy. Their humility makes me love and trust God's mercy more. When we acknowledge that we are sinners in need of God's mercy, we help one another grow closer to God. When we believe or pretend that we are not sinners in need of God's mercy, we help one another to deceive ourselves. The only way that I can truly appreciate and accept God's mercy is if I acknowledge that I am a man in need of that mercy. We only value God's mercy when we understand that we need it. What good would mercy be if nobody needed it? When I see my brothers and sisters in the Faith humbly acknowledge their need for mercy, it encourages me to do the same. So, to all of you publicans out there, keep up the good work. Once again, the Gospel today tells us what the Kingdom of Heaven is like. Although there is much that we could draw upon from today's Gospel, let's just focus upon three aspects of the Kingdom of Heaven. Firstly, the Kingdom of Heaven is for those who seek. "Seek first the Kingdom of God," Jesus says elsewhere in the Gospel. And he promises that the one who seeks, finds. 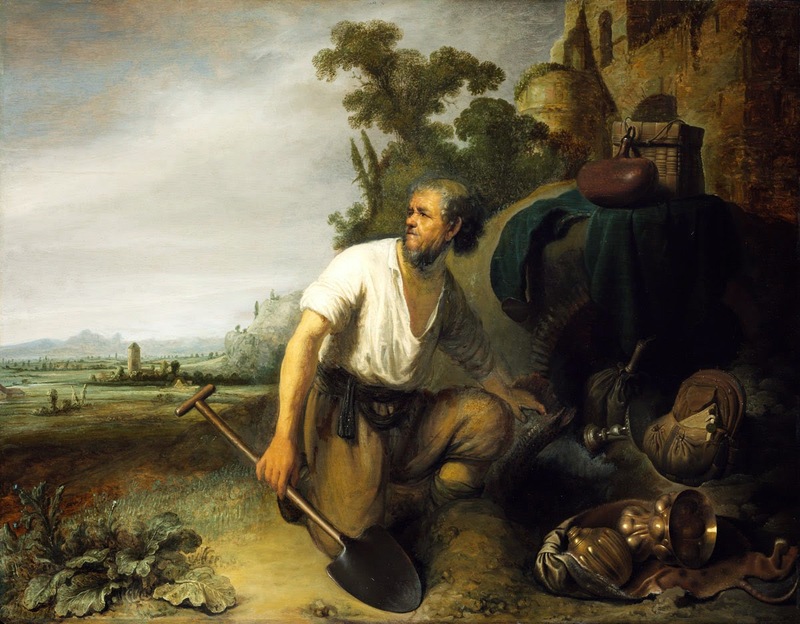 In the parable of the man who finds the buried treasure, we see that it was discovered in a field. The man was out and about. He was engaged with life. The same for the merchant. He was searching for pearls. The Kingdom of Heaven is there for our finding. But, the Gospel teaches us that we must be people who seek. Too often, we become lazy in our life. We fail to ask important questions. We settle for the mundane. Instead, we ought live life expecting to find the treasure! What is the meaning of life? Why am I here? How did I come to exist? What happens after I die? What is the meaning of the reality that is in front of me day to day? My brother once told me that for a while in the morning time as his sons were getting ready for school, he would play the soundtrack from the "Lord of the Rings," in order to remind his sons that each day was a new adventure. It takes effort to seek the treasure. It takes work to wake up each day filled with a desire and an expectation to see the Kingdom. But those who seek will find. We seek in order to possess. When we discover something that is true, good, and beautiful, we want to possess it. This is how we are made. I think of times when friends of mine will say with such joy, "So, I met this girl!" From that point on, the conversation is often about, "How do I get her to go out with me? What should I say? What should I do?" Yes, we seek in order to possess! But when it comes to the Kingdom, there is an intermediary step. If the first step is to seek, the second is to sacrifice. The man who discovered the treasure did not immediately possess it. See, the land in which the treasure was buried belonged to someone else, and thus the treasure legally belonged to that person. So, the man is kind of sneaky. He goes and sells everything and buys the field and becomes the owner also of the treasure. Similarly, the man who discovers the pearl, goes and sells everything in order to buy the pearl. The Christian life always demands that we love the treasure in such a way that we sacrifice for it. Throughout the Gospels, Jesus tells us that we cannot be his disciples unless we take up our cross and follow him. He tells the Rich Young Man to sell everything and give away the money. Only then can the Rich Young Man follow Christ. Peter and Andrew, James and John had to sacrifice boats and nets, family and home in order to be disciples. All of us in our varied vocations are called to sacrifice for the Kingdom. A couple entering marriage begins their marriage by offering a sacrifice. They lay down their individual plans and aspirations for the sake of their new life together. I often hear men when asked about a priestly vocation say, "I don't want to give up marriage." This is not a good reason! If one is called by God to be a priest, then one must be willing to sacrifice. Every Christian vocation demands sacrifice. This is a necessary step in the Kingdom of Heaven. We are always afraid that if we sacrifice certain things, we will never be happy. Pope Benedict XVI often said that we should not be afraid because Jesus takes away nothing that pertains to our happiness and gives us everything. The more we focus on the treasure, the more we are willing to sacrifice. Once we seek the Kingdom and find it, and then sacrifice for it, we possess it. This plays out each time we attend Mass. You are here today seeking God. But, before we can possess Him, we must offer sacrifice. We offer now the Sacrifice of the Mass. In union with Christ, we offer to God our obedience. To the best of our ability, we say, "Lord, I love you and although I fail many times, I want to give you my life. I want to offer you everything in union with your Son." And then, having sought the Lord, and offered this Sacrifice in union with Christ, we possess Him whom all the world cannot contain. God gives us His very self in the Eucharist. We receive and possess God. This is truly amazing. There is no greater example of all of this than the Blessed Virgin Mary. She sought to love and honor God and desired to do His Will. Thus, when the announcement of the coming of the Kingdom of Heaven was first made to her by the Angel Gabriel, how did she respond? She offered a sacrifice. She offered her entire being to the service of the Kingdom. She sacrificed her reputation, her body, her plans, and her entire existence to be of service to the Kingdom. And having sought the Lord and sacrificed for His sake, the Kingdom of Heaven came to dwell within her womb. Mary sacrificed everything and in exchange, she possessed God. This is what God wants for each of us. And this is not just a one time event. No, today we seek the Kingdom of God and, because He promises that those who seek will find, we indeed discover the great treasure. Then, we offer ourselves and all that God asks of us in service to this Kingdom. Then, we come to possess God Himself. This possession is not stagnant. Instead, it flourishes in our souls and produces a hundredfold! Then, we go to sleep tonight, wake up tomorrow, cue the "Lord of the Rings" music, set out to discover the Kingdom anew, offer more sacrifices, and possess God even more. This is to live the joy of the Kingdom of Heaven. Recently I received a Facebook message from a young woman who is a former parishioner of mine. It was just a brief message telling me that her young son (I think he's 4?) came up to her that day at Noon and said, "Mom, it's time for the Angelus." She wrote that to me because several years ago, we made it so the church bells would ring the Angelus each day at Noon and at Six. She knew that that brief story would make my day. And, so it did. 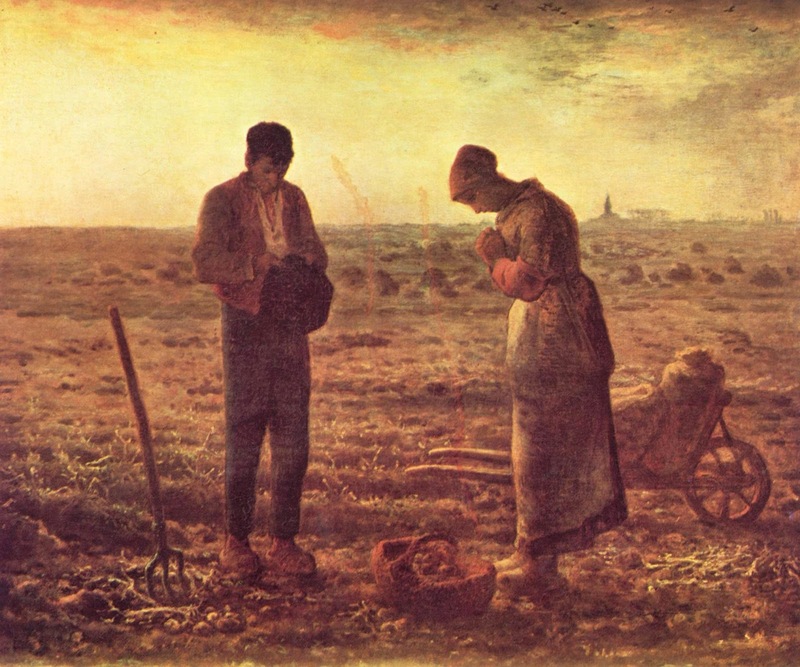 The ringing of the Angelus provides a moment to pause during the day and remember that God has drawn near to us. Marketplaces were swarming with buyers and sellers, political powers were jockeying for position, battles were being waged, and people were living the everyday lives. In the midst of every day life, imperceptible to the world around, in the quiet of the Virgin's womb, God drew irrevocably close to us. The Word became Flesh and made His dwelling among us. Unlike the young boy and his mother who messaged me, most of us do not hear the Angelus bells ringing in the midst of our day. The sounds of bells do not travel over highways nor do they penetrate the walls of our skyscrapers. Gone are the days when the silence of the landscape would welcome the toll of the bell. In some way, however, the present situation is almost more faithful to the Mystery of the Incarnation. At the dawn of the New Creation, only the Blessed Virgin heard and received the Word. While the whole world went about its usual business, something new happened. We see, however, the power of this Word! It began with only one woman hearing and accepting this Word, and from this the New Creation begins! In my life, the announcement of God's nearness often comes not through the ringing of bells, but through the sound of an alert on my smartphone. In the midst of all of the busyness of life, a message appears. It might be from a married friend whose marriage is in distress. It might be from a young person just saying, "Hey Padre." Sometimes, the message is a question about a girlfriend (theirs, not mine! ), a random question about some theological matter, a request for prayers (or a promise of prayers), an invitation to grab a bite to eat, or--regularly enough--some well played smart alec comment. These brief communications from my brothers and sisters in Christ--men and women, young and old--whom I have encountered along the path of my priestly life are my Angelus bells. Their brief messages that interrupt my day are an announcement that the Word became Flesh and dwells among us. These brief messages serve to remind me of God's nearness. In and through the communion of the Church we experience the presence of Christ. We all need to be reminded of God's love made present in Christ. Angelus bells remind us of His Presence. Christian friendship assures us of His Presence. In Sudan, a Catholic pregnant woman was sentenced to death because she refused to renounce her faith. 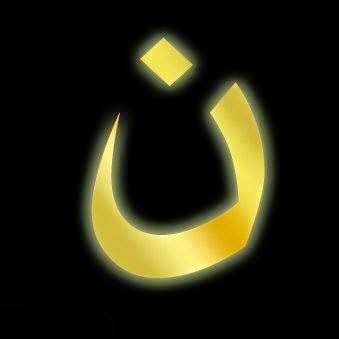 In Iraq, the ancient city of Mosul has been overrun by terrorists who have burned Catholic churches, ordered Christians to leave, and have marked the homes and property of Christians with the Arabic image above. The image depicts an Arabic letter pronounced, "Nun." It is intended as a derogatory statement about Christians being "Nazarenes." A city that has been home to Christians for two thousand years now has no Christians left. They have been murdered or driven out. In the United States, the hatred against Christians is not violent. It instead disguises itself behind policies, procedures, government mandates, and bureaucratic bullying. In the United States, no one explicitly requires you to renounce your Christian Faith. Instead, they require you to live as though your Christian Faith were of no consequence. If you refuse, you are described as intolerant and the government begins to punish you and penalize you. What is particularly sad in the United States is that many of those who promote, support, and implement this insidious, coercive, and sinister campaign are Christians themselves. Christians in the United States are not suffering at the hands of invaders. We've elected or hired those who seek our demise. While a pregnant woman in Sudan holds fast to the Faith even under the threat of death and as Catholics in Mosul hold to the Faith as their homes and places of worship are destroyed, Catholics in the United States often seem to shrug and to cooperate so as to fit in with the culture. While Catholics in Iraq (Catholics like Fr. Ragheed Ganni who was murdered for his refusal to stop offering Mass for his people) bear witness to the Faith by risking their lives, Catholics in the United States sometimes seem as though we are not even willing to risk being a bit uncomfortable at a cocktail party. If I were writing a New Evangelization program, it would be a series on the martyrs--ancient and contemporary. The words of the Gospel are written in blood. They are written in the Blood of Christ and in the blood of the martyrs. I have long been convinced that the New Evangelization requires a renewed focus on the martyrs. These witnesses testify in a far more powerful way than any program or structure that we can create. They offer the witness of a life. They offer the witness of suffering and blood. Their witness reveals in what Faith truly consists. They are willing to risk everything--even the last drop of blood--to cling fast to Christ and His Church. From the very beginning, evangelization has been accompanied by blood. There is no more eloquent testimony to the Gospel than the blood of the martyrs. The New Evangelization ought to emphasize the witness offered and being offered by the martyrs. There are men, women, and children who today are willing to die for the Gospel. There are men, women, and children risking their lives to receive the Eucharist. In the letters of St. Paul, we often hear him mention that he is "suffering chains." Today there are priests and bishops imprisoned for their Faith. These chains speak more eloquently than any homily I will ever write. Focusing upon the glorious witness offered by our suffering brothers and sisters in the Faith would not only stir up an increase in our own Faith, but it would also stir up solidarity among the Christian world. Our brothers and sisters are being slaughtered. Their witness ought to move us to come to their aid. Their witness ought also to move us to step out from the shadows and be willing to defend our Christian Faith when it is threatened by subtle forms of tyranny. The Catholic Church spends a lot of time and energy these days worrying about its publicity and trying to get media outlets to throw us a bone and write a flattering article about some Catholic thing. But, perhaps God is teaching us--yet again--that the New Evangelization isn't to be written in ink. The New Evangelization is being written in blood. That's where our focus ought to be. 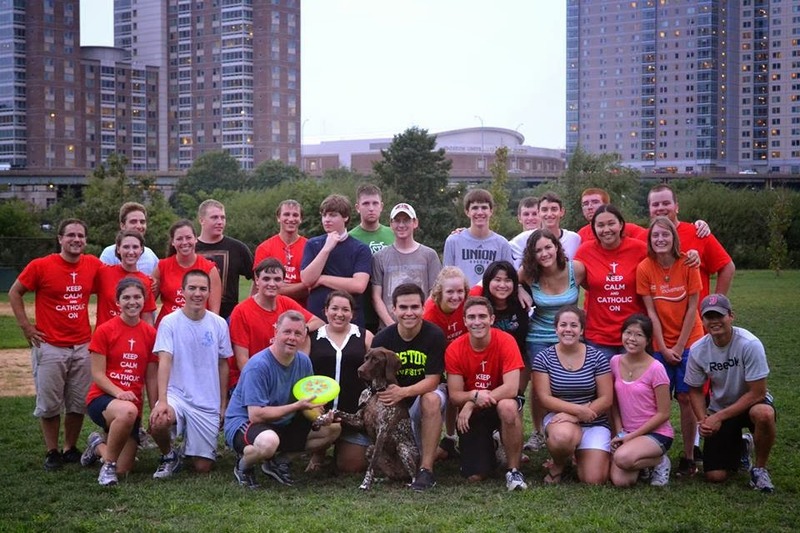 During the past couple of weeks, I've been thinking a lot about what our programming at the Newman Center at Boston University will be like in the coming year. What do we need to alter, add, or toss overboard? In the midst of this, a friend of mine asked me to begin reading with him a text from Fr. Julian Carron, the head of the ecclesial movement, Communion and Liberation. The text (which I have only begun to read), draws upon Pope Francis' encyclical Evangelii gaudium, and directs us to consider the need to return to "the essential." I do not know where Carron's text is leading, but this question about what is essential in my life is helpful to me. It is helpful because Pope Francis says that we need to return to what is essential for the purpose of evangelization. His point, of course, is that Jesus Christ is essential. Christ must be what is preached and lived. But, in a way, this is too easy. Carron says that we can all come up with that right answer. We can say to ourselves, "Yes, yes! Christ is what is essential!" Then, we can go back to what we were doing. It makes me recall when I was in grammar school and I discovered that the answers to the algebra problems were all found in the back of the book! This was like a dream come true. But, Sister Bernadette would look at such feeble attempts to game the system and would remind us, "I am not a magician. I am a mathematician." What did that mean? It meant that she didn't care if we wrote down the right answer. She wanted to see HOW we got to the answer. Sometimes, in our life, we live our Christianity simply by checking the answers in the back of the book. "Ah, Christ is the answer. Yes, let's just keep repeating that." But, Carron says that there is something dishonest about this. In our hearts, we know that we haven't done the work. We might have the answer, but we really aren't living that answer. The only way we can truly say what is essential in our life is to look at our life and our experience. As I said, I do not know where Carron's text is leading because I am reading it a few pages at a time. But this question about what is essential has really struck me. What is essential in my life? When I look at my life as a man, as a Catholic, and as a priest, what gives my life consistency? One thing clearly jumps out to me. Friendship. In my experience as a priest, it is Christian friendship that continuously awakens my own humanity and it is this experience that impels me to announce the Gospel to others. It is in the encounter with real flesh and blood Christians that I am drawn closer to Christ and experience his tender gaze upon me. This experience makes me love the Church. I don't want to spend my life trying to get people to join a club or a cause. Evangelization is not recruitment. Evangelization is to share the joy of an encounter. When I was a pastor, I wasn't looking to recruit parishioners. I was a man who discovered something that continuously amazed me. I repeatedly discovered anew the joy of encountering Christ in the friendship that we shared together. I was not the head salesman. I was, however, the head witness. I was truly moved by the experience of friendship. This to me became the essential part of our parish's life. As I think about the Newman Center at Boston University and our mission to evangelize the campus, I think of what is essential. What is essential is Christ, but that is too easy to say. I need to look at and be faithful to my own experience. When I do that, I am reminded that Christian friendship is what is essential. This is what awakens my humanity and gives consistency to my life. What will make me a most effective witness to the Gospel is if I am faithful to my own experience. And, my experience of the Church is friendship. This is what moves me and surprises me. I am moved by a Presence that makes Himself known to me in the friendship of the Church. Sometimes, evangelizers can sound like used car salesmen. They are interested in getting numbers and in having a good monthly report. I don't want that for my life. Instead, I want to be a witness. I want to share with others the joy of what moves me. What moves me is living the friendship of Christ with others. The young people whom I serve are half my age. But, the truth of the matter is that I am moved by their friendship. In what we are living together--in the Sacraments, in prayer, at lunch, over coffee, in Italy, in seriousness, in humor, in debates, and in countless other gestures--I am becoming more fully human and thus more joyful. It is the love that I discover in and through this communion of the Church that makes me want to be a witness to others. In the year ahead, no matter what type of programming we develop at the Newman Center, the most important thing for our community to do is to build up our friendship. This is what is essential. When I was a pastor, I discovered that the best way to build a parish is to build a friendship. As priests, we are sometimes tempted to think of ourselves as "officials" who "run" the parish. But my experience is something different. My experience--both in the parish and at the Newman Center--is that I am effective insofar as I am faithful to the friendship that Christ gives to me in the people whom I am sent to serve. The more I am moved, the more I witness. I am moved by the friendship that I encounter among those whom I serve. This friendship saves me and builds me up. The friendship of those people encourages me and communicates to me the love of Christ. Their friendship convinces me of Christ. Friendship builds up the person. As I live among these great young people, I discover the same reality that I lived among my parishioners. Their friendship builds me up and helps me to live a fuller humanity. The more we are faithful to our friendship--the more we experience the love of Christ in and through our friendship--the more we are impelled to share the joy that has been placed into our hearts. This is evangelization. Today, I was thinking about a few things and an old post came to mind. Rather than trying to re-write it, I thought I'd just re-post it with a few minor edits. One of the most intense film scenes I've ever watched occurs at the beginning of "Saving Private Ryan," as the landing craft hatch is lowered and total mayhem follows. The chaos and carnage are horrific both in their intensity and in their duration. This was no quick gun fight. It was an exhausting and grueling battle. It's been quite a while since I've seen the movie, but I remember later in the movie, you are taken back to the beachhead. It has been transformed into an orderly camp. The beachhead had been taken and secured. Later waves of troops would arrive on that beach with a much quieter welcome. They too would fight battles, but much farther up the road. They would be an advancing force upon a retreating enemy. I sometimes joke with recently ordained priests that when I was in seminary and when I was recently ordained, I was in the first wave. Pope John Paul II had called for the New Evangelization: a new and fuller proclamation of the Gospel, a more intensified devotion to the Eucharist, a greater seriousness about the Sacraments and the offering of the Mass, a more robust defense of the Church's teachings on moral issues, and a fearless confidence that this New Evangelization would bring about a new springtime in the life of the Church. Then, the landing craft door opened! The beachfront was most definitely heavily defended and time had been on the side of those positioned against any such New Evangelization. Each step forward brought with it costly sacrifices. Certain things would draw particularly heavy fire: Promoting Confession, Adoration, Benediction, a Liturgy without gimmicks, vocations to the priesthood, the Church's teachings on marriage, contraception, and abortion. Reading and promoting documents of the Magisterium was a sure and certain way to draw enemy fire. As hard as it is to believe now, there were many who were either squeamish or outright opposed to such staples of the Catholic life. Good intentioned but incorrect, were those who thought that the best way to attract people to the Church was to act, speak, and look less like the Church. We heard the Pope yell "Charge!" and enthusiastically stormed the beach. Admittedly, we were young, fresh out of boot camp, and not seasoned by previous battle when we leaped into the fray. Perhaps, we could have used our ammunition more prudently, avoided certain skirmishes, and still accomplished the same results. But, the beach was nonetheless secured. And, although there are always more battles to fight, it is so clear that a base has been established, the boots are on the ground, and the New Evangelization is advancing. I see this as I look back over my shoulder and see seminarians arriving who grew up with the experience of daily adoration, frequent confession, and authentic Catholic teaching. As I look down on the beach, I see solid Catholic Colleges that have sprung up and are forming young Catholics who want to serve the Church in religious education and youth ministry. I see it in new priests who arrive at parishes and simply want to offer the Mass as it has been handed down to them. I see it in the lives of so many Catholic families whose faith has been reawakened by hearing the full Gospel. I see it as faithful lay people who have been formed according to the mind of the Church are assuming positions of authority in parishes and in dioceses. I see it in seminaries where loyalty to the Pope and to the Magisterium are considered positive qualities. Such was not always the case! But, Blessed John Paul II did not mislead us. He led those who would follow into a joyful and determined battle. It was not fought with denunciations, political maneuvering, or viciousness. No, it was fought by offering opportunities to adore the Eucharist, confess sins, learn what the Church teaches and why, preaching and teaching the full Gospel, and offering the Mass with seriousness. These weapons were a sure defense. If battles were fought based upon personalities, opinions, ideologies, or prideful careerism, there would be no success. Instead, the Pope led the Church to depend solely upon those things that she has been given by Christ. In retrospect, I see how things have worked. The advice of some was that if we preached the full Gospel, people would abandon us. My experience has been just the opposite. One of the great joys of priesthood for me has been the experience of becoming very close to people who opposed many of the most difficult things that I was called to preach. It is a source of incredible joy for me that people who vehemently disagreed with what I preached along the way have become numbered among the people with whom I share a profound communion of life and friendship. How is this possible? The answer? Christ. Those who have subsequently landed on the beach are in an admirable position. They are not only entrusted with the New Evanagelization, but they have been formed by it. They have studied it, assimilated it, and have learned the effective tools for implementing it. In many ways, those of us who were privates jumping into the fray had more enthusiasm than we did strategy! "Finally, draw your strength from the Lord and from his mighty power. Put on the armor of God so that you may be able to stand firm against the tactics of the devil. For our struggle is not with flesh and blood but with principalities, with the powers, with the world rulers of this present darkness, with the evil spirits in the heavens. Therefore, put on the armor of God, that you may be able to resist on the evil day and, having done everything to hold your ground. So stand fast with your loins girded in truth, clothed with righteousness as a breastplate, and your feet shod in readiness for the gospel of peace. In all circumstances, hold faith as a shield, to quench all the flaming arrows of the evil one. And take the helmet of salvation and the sword of the Spirit, which is the word of God" (Ephesians 6:10-17). The other day I received a letter from Loyola High School in Los Angeles. Unfortunately, it is very rare that I receive such letters. It contained the names of students from their school who will be attending Boston University this coming September. The names--sent with the permission of the students--are a great help in allowing the Campus Ministry program here to reach out to these students and welcome them. This is a great model of ecclesial cooperation and evangelization. Someone in that school is doing a lot of extra work. They had to get the permission of students, find the contact information of each Campus Ministry program, and send out the letters. I'm sure at the end of a school year, the last thing somebody wants is more work to do--especially for students who are gone from their school. This kind of effort exemplifies true pastoral care. Instead of just "hoping for the best," the high school is doing something positive about the spiritual care of their graduates. 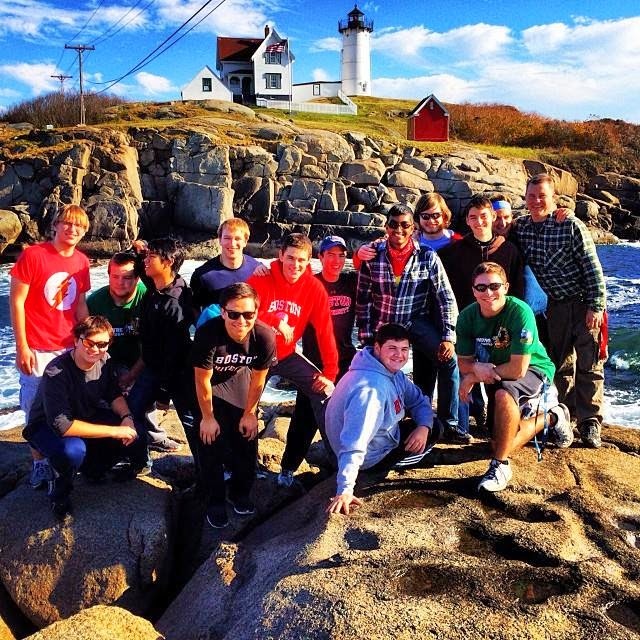 Will all of these students find their way into Campus Ministry programs? Probably not. But, this at least gives them a better chance. It would be great if parishes and high schools contacted Campus Ministry programs and let them know who was coming. It would create some more work for parishes and schools--and would probably overwhelm some of us in Campus Ministry--but it's worth it. We don't want to lose these young people when they arrive on campus! There is a real danger that incoming freshmen might fall through the cracks and, if they do, are likely not to return to the Faith again. Let's all do our part in preventing that. Our parishes, Catholic high schools, and diocesan school offices could do a great act of charity for our young people by helping them transition into the Catholic community at their future college. Loyola High School in Los Angeles gets a tip of the hat from me. 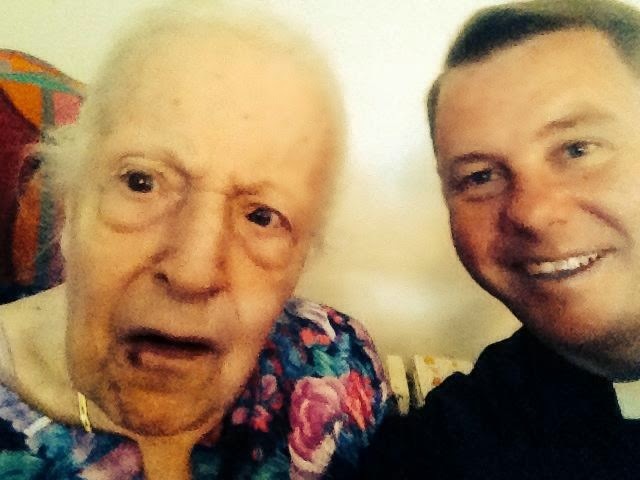 Today I Visited Sophie Who Will Be 100 in August! On Saturday at 4pm, I helped out a priest who I know from seminary. He had a wedding elsewhere, so I covered his parish Mass. For the most part, I haven't really seen this priest since we were ordained. He's from another diocese. Just from the brief interactions I had with his people before Mass, it was clear that these people love their pastor. At the end of Mass, I mentioned to them how great their parish was and I said, "And you have a great pastor." Their reaction really surprised me. About 300 or 400 parishioners all yelled back things like, "Yes, we know! Yes we do! We love him." It was really beautiful because it was so spontaneous and genuine. It is really something beautiful to see this kind of love. I said the Mass there the next morning at 8, but the pastor was back. So, I just observed his interactions with the people before and after Mass. Again, it was something very beautiful. He knew them. He said things like, "Oh hi! I got your message and will call you tomorrow." Or, "Hi, tell your wife I will be stopping by with communion this week." other to my former parish in order to do a baptism for a young couple with whom I share a friendship. I not only baptized their newest son today, but I also had the privilege in the past of baptizing their older son and the mother (she as an adult, not as an infant)! It is very beautiful to witness people raising their children in the Faith. Before the baptism, I went to visit one of my old communion calls. Her name is Sophie and in August she will be 100. Sharp as a tack. And perpetually funny. One of the things I love about Sophie is that she tells it like it is. She always gives me a good laugh. More than that, she's just a great Catholic. Well into her 90's, Sophie attended daily Mass and her home continues to be a place where parishioners--and priests--always come to visit. As I entered for the baptism, the Mass had just ended, so I got to see a good number of folks who were still milling about and chatting. It was great to see such wonderful people. The pastor who succeeded me had everything ready for me and was able to exchange some brief greetings with me before heading out to one of his other parishes. He now pastors three parishes! Pastoring three parishes is no easy task. It is good to see that the people appreciate the enormous task that he has and that they support and love him. For me, it was just great to see these people whom I will always love. After that, I drove back down to Boston in order to say Mass at Boston University. Yesterday was the due date for the husband and wife team who play the music for our Mass. I told them that if the baby were born on June 28th--the due date--they would have no choice but to name the baby Irenaeus because the 28th is St. Irenaeus' feast day. Alas, they were there singing--beautifully--tonight, June 29th, so I guess Irenaeus is not in the cards. I told them that if they can hold out to July 16th, that is the Feast of Our Lady of Carmel and they can name their child, "Carmella." Besides not being huge fans of the name, it seems they are not interested in holding out to the 16th. In any event, it was beautiful to see this young couple--married for just over a year--singing and praising God together while awaiting the birth of their first child. 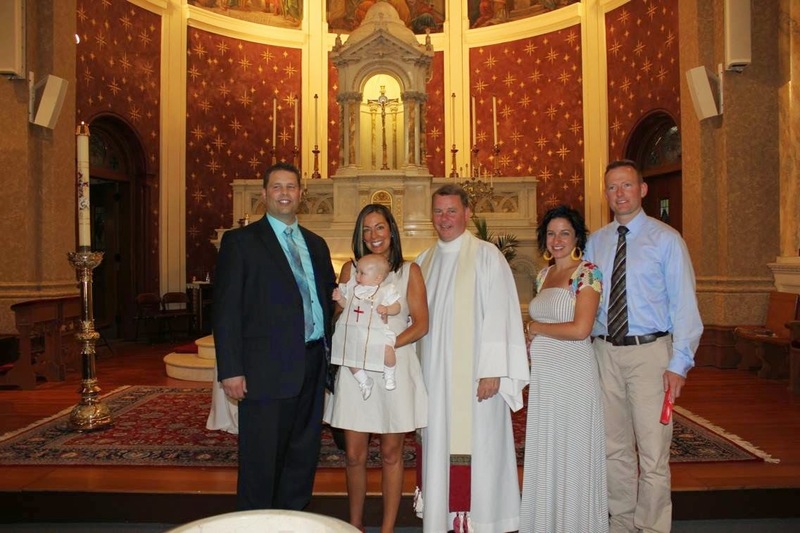 In the congregation was a young couple who will be married at Boston University next month. Again, it was just really beautiful to be there and to see them praying together as they advance towards the Sacrament of Marriage. Along the way, as a priest, you get to meet many couples and some of them just strike you as people who fill your heart with joy. They are such a couple. I look forward to their wedding. 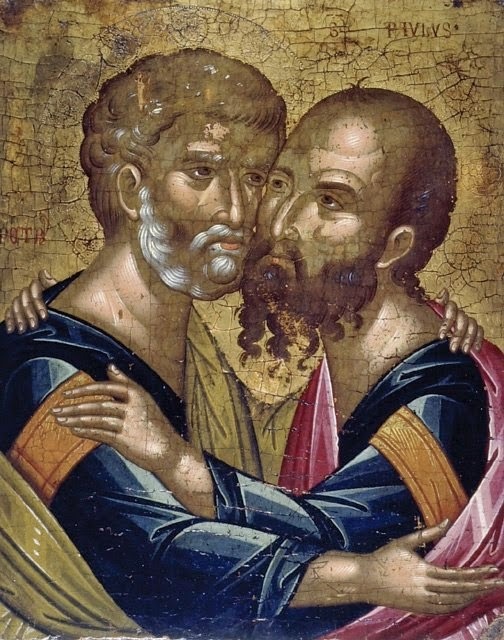 Today was the Feast of Saints Peter and Paul. 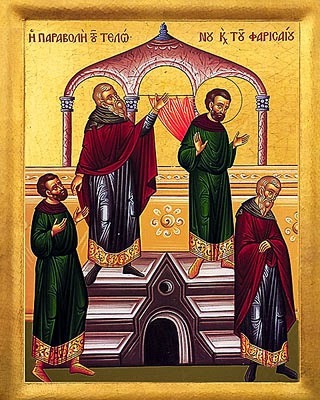 They were not only apostles, but they were also martyrs--witnesses. Their willingness to remain faithful to Christ even to the point of shedding their blood is a source of encouragement. This weekend, I encountered many witnesses. Married couples, engaged couples, expectant parents, priests, a high school kid who asked if he could call me and go out to lunch during the summer, college students who came to Mass in a boiling hot chapel, parishioners, and parents who were baptizing their their baby boy. I need witnesses in my life. The Church needed Peter and Paul. But, it also needs contemporary witnesses. I need witnesses who provide to me good example. They encourage me. For me, this is the beauty of the Church. I drove all over the place this weekend and everywhere I went, I encountered witnesses to Christ. For that, I am truly grateful.